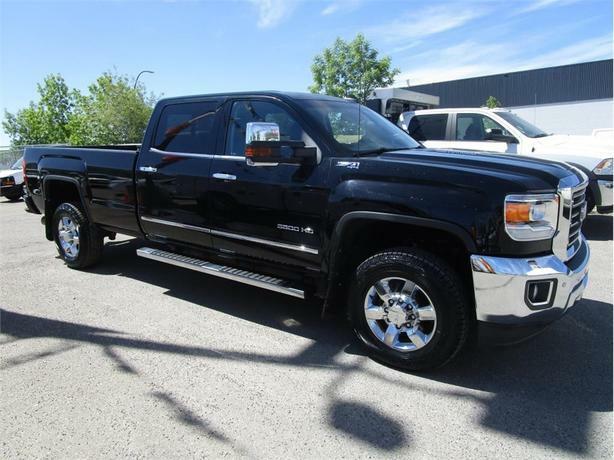 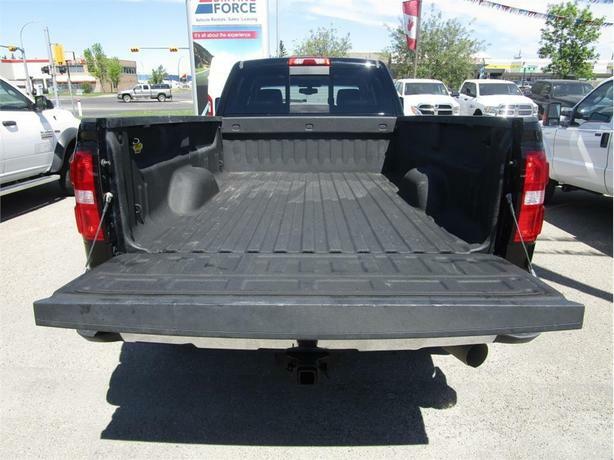 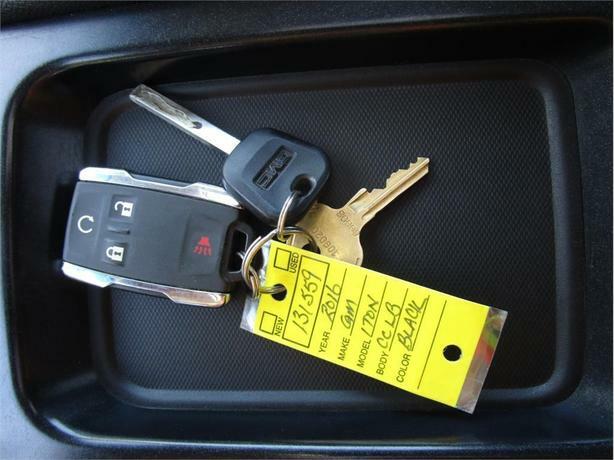 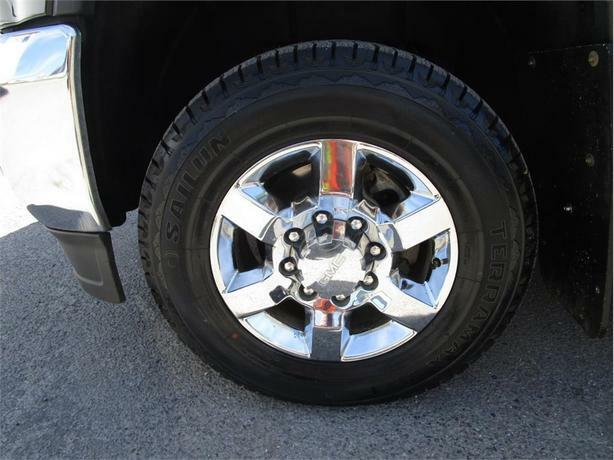 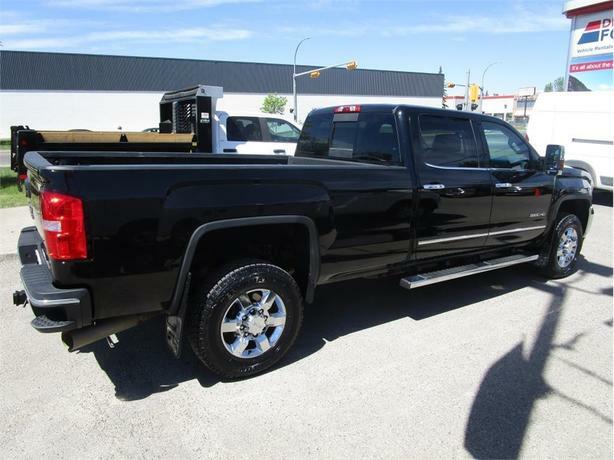 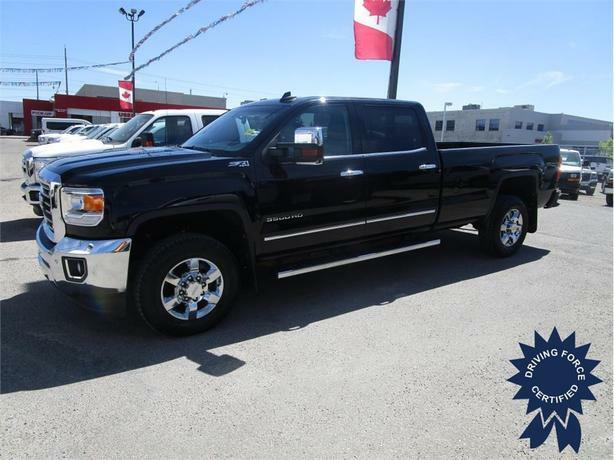 This hard to find black on black 2016 GMC Sierra 3500HD SLT Z71 Crew Long Box 4WD Duramax Diesel won't last long. 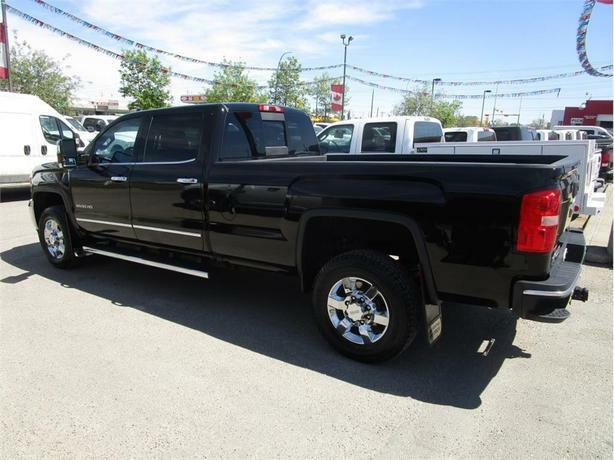 Equipped with a power sunroof, heated leather 40/20/40 seats, heated steering, navigation, 8-foot Long Box with spray-in bed liner, side steps, seating for up to 6 passengers, Bose premium sound system, dual-zone climate control, Z71 package, chrome wheels, fog lights, AppleCar Play / Android Auto, backup camera, balance of factory GM warranty, clean CarProof vehicle history report, fresh service, and has been certified to our high standards. 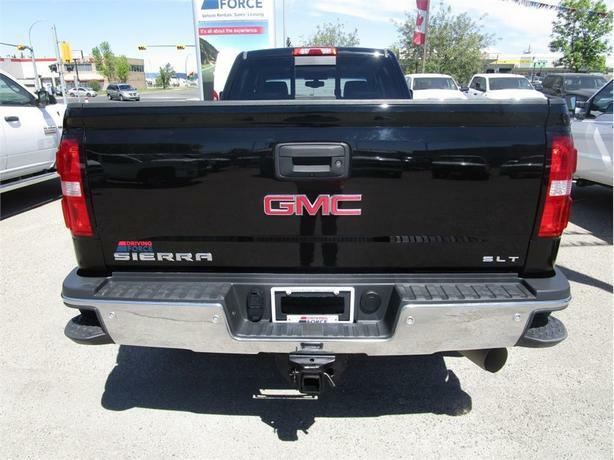 Call or email one of our knowledgeable diesel truck sales consultants in Calgary today and experience the DRIVING FORCE difference.